Chinese smartphone manufacturer Meizu, jointly with Canonical, announces the launch of the Meizu PRO 5 Ubuntu Edition in Europe and China. This is the fifth Ubuntu device launched by Canonical and its partners in the last twelve months and the most sophisticated and feature-rich Ubuntu phone in the market. The Meizu PRO 5 Ubuntu Edition will be available for pre-order during MWC across Europe and China on Meizu’s website. 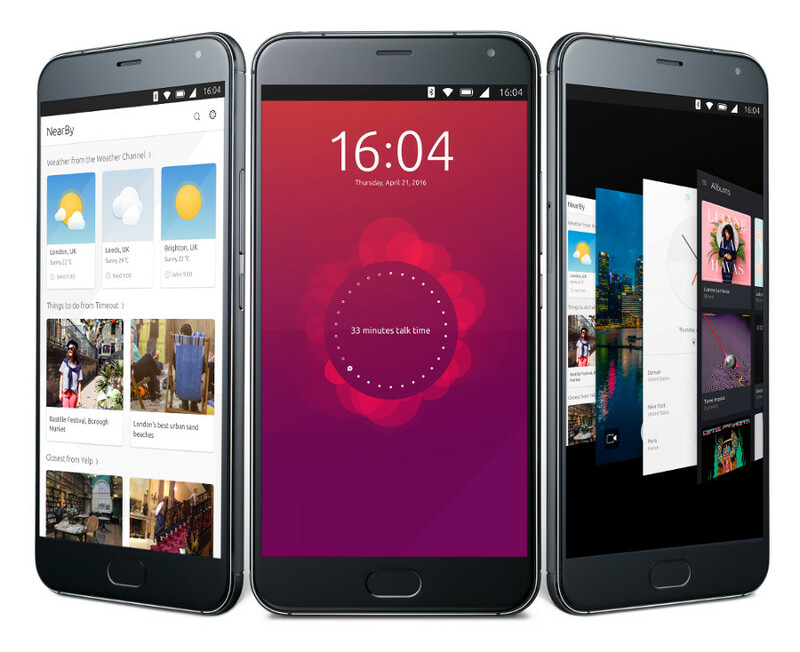 The Meizu PRO 5 Ubuntu Edition launches as one the highest spec smartphones on the market. This elegantly designed device comes with a Samsung Exynos 7420 Octa-core processor. The Meizu PRO 5 sports a highly durable 5.7-inch 1920×1080 screen made with Corning® Gorilla® Glass 3 and the crystal clear AMOLED display screen adds a larger field of view to deliver more content, save power and ensure longer battery life. The Meizu PRO 5 has higher specifications than many other leading smartphones, including its LPDDR4 memory technology which makes it a fast and responsive device for even the most avid multi-taskers and demanding applications. The Ubuntu Phone experience continues to delight Ubuntu fans and new users alike. The content-centric user experience has transformed the way we access our most important digital services – whether that’s music, social, web browsing or sharing photos and video. With scopes, all these services are available directly from the home screen. The richness and unfragmented experience delivered by Ubuntu scopes is a world away from burying content and services inside multiple apps in an icon grid. In recent updates, the scope experience has seen further enhancement. Favourite scopes like Twitter, SoundCloud and YouTube now feature personalised information and with more interactive features users can ‘like’ or ‘favourite’ items, read and post comments, directly from these updated scopes. The growing ecosystem around Ubuntu devices includes favourites such as Instagram, Twitter, messaging service Telegram, Soundcloud, TimeOut and Songkick plus a host of others. Recent additions to the ecosystem include Spotify and games from Play Canvas. Canonical remains committed to the vision of reinventing personal computing through a single, adaptive platform for all personal device form factors. As such, while the PRO 5 lacks MHL output, the software running on the Meizu PRO 5 is the latest code which also powers recently announced tablets and other devices and is capable of providing a traditional desktop experience. http://www.meizu.com/en/ubuntu/index.html – Page not found! It’ll be available to pre-order from the end of next week (during the MWC).